Avoid making costly mistakes when you're replacing brake pads on your Honda. Brake jobs seem easy enough: Remove a couple of bolts, spray some cleaner, and replace the worn-out pads, right? Not quite: I will explain some important steps and precautions that the average backyard mechanic neglects, not just on Hondas, but on any vehicle. Power tools are useful, but if you're replacing your brake pads in your driveway, you're probably using all hand tools. Your first task is to loosen the lug nuts while the car is on the ground. Just crack them free. If the car is off the ground when you are trying to break the lug nuts free, the tire will just spin and you will waste valuable time. Once you have the car in the air—on jack stands, I hope—you can remove the lug nuts completely and remove the tires. Please use jack stands for your own safety. 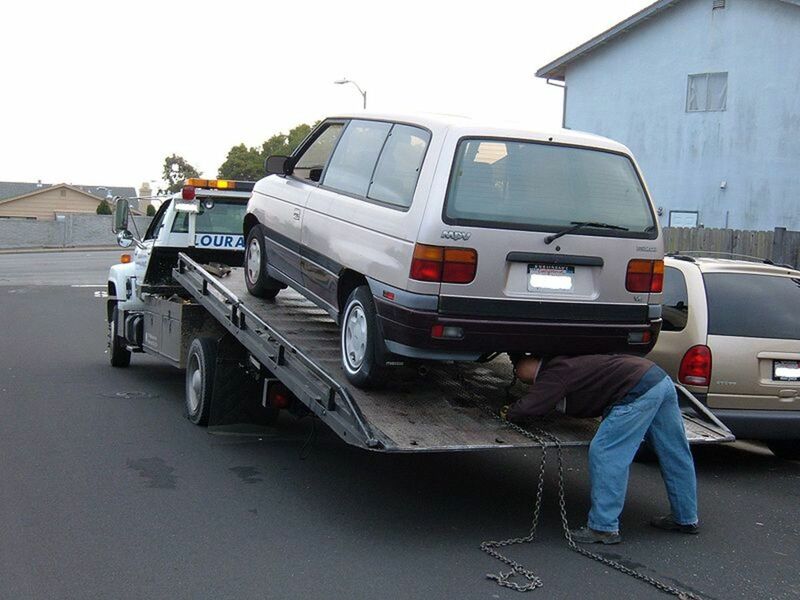 Do not work on a vehicle that is supported by a hydraulic or screw jack only. People get crushed every year because of this. 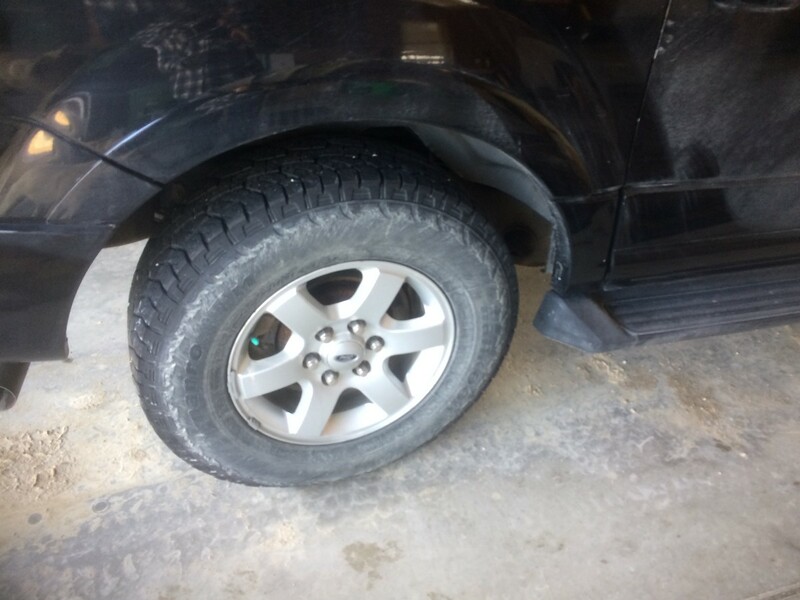 If the wheel is stuck on the vehicle and doesn't want to come off, kick it hard with your heel, like a mule or a horse would. 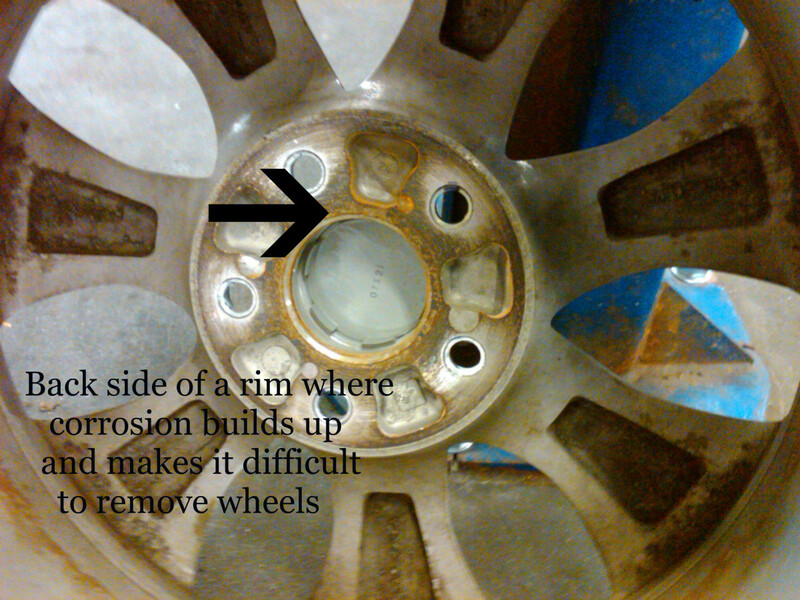 Wheels can become frozen on the car from corrosion between the rim and the hub. If the wheel was stuck, clean off the corrosion with a wire brush before reinstalling it. Corrosion can stop the rim from sitting flush on the hub and cause an uneven torque on the lug nuts, which could cause the wheel to come loose when driving down the road. Next, you need to remove the caliper from the knuckle assemble. There are four bolts on most Honda calipers: two bolts connect the caliper to the car, and two bolts connecting the two parts of the caliper. I recommend removing all four bolts so you can clean the caliper properly. 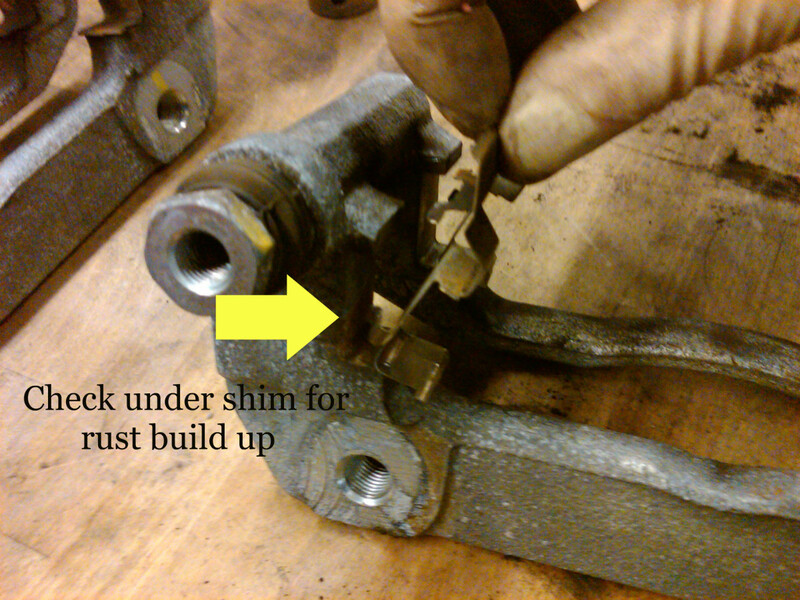 Inspect the caliper bracket (the part that holds the pads in place), and remove the pads. Notice where the spring clips are mounted: there are upper clips and lower clips. These clips are important; they stop the pads from shifting and vibrating. Remove the clips from the caliper bracket and look under them. Most Hondas build up rust under these clips, which causes the pads to freeze in the caliper and wear unevenly. If your brake pads come out of the calipers hard or you have to beat them out, chances are the rust has in fact built up under these clips. You can use a dremel or coarse sandpaper to remove the rust, add a bit of high-temp grease to the metal surface after sanding, and then reinstall the clips and set the caliper brackets aside. When you start to replace the brake pads, you will notice the piston in the caliper is extended out because the old pads had less brake material on them than the new ones do. The piston's job is to push the pads against the rotors: the thinner the brake pad material, the more the piston has to extend itself. Remove the cover on the master cylinder and place a shop towel or rag over the top of the master cylinder: this will prevent brake fluid from spraying out of the master cylinder on to the cars paint while you are squeezing the piston back into the brake caliper. 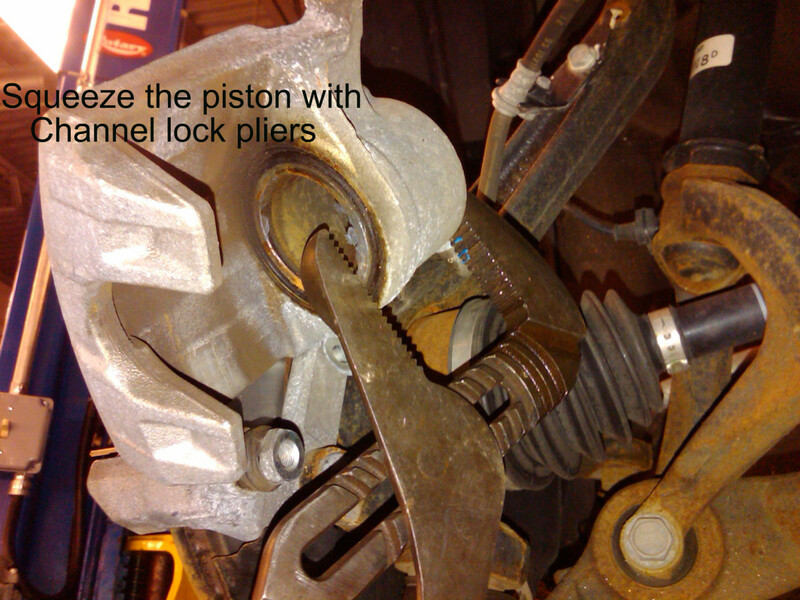 You can use a set of channel lock pliers or a C-clamp (an adjustable clamp in the shape of a C) to squeeze the piston slowly until it bottoms out in the brake caliper. Brake fluid will remove the finish on your car's paint. If left on the paint for long enough, it will remove the paint completely. 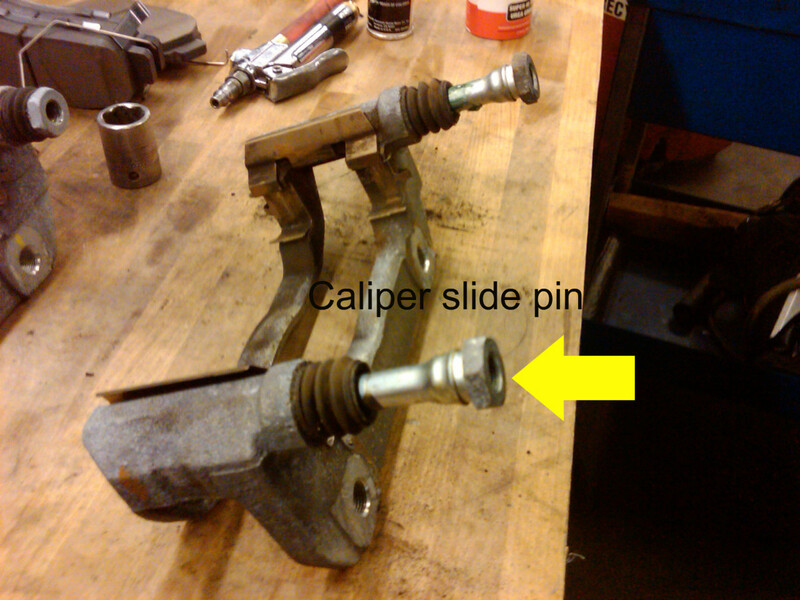 The slide pins of the caliper need to move freely. Some pins can freeze up and cause premature wear of the brake pads. 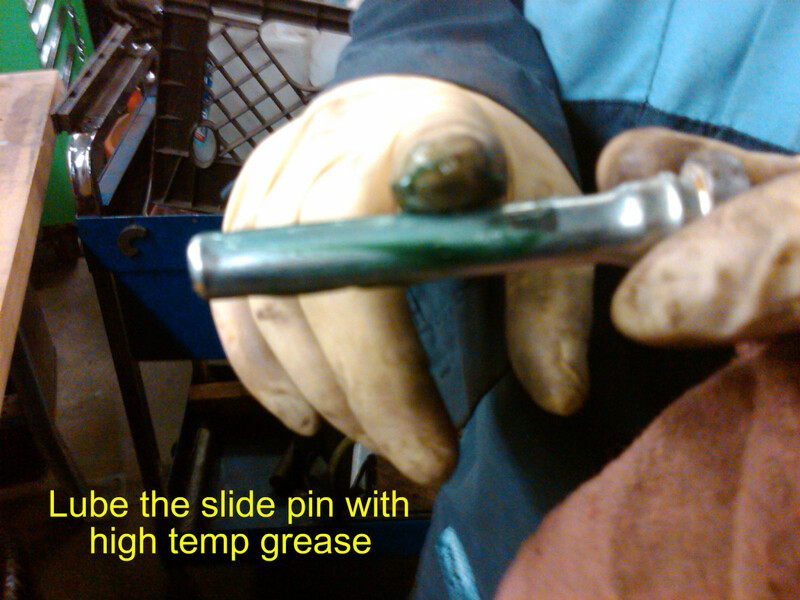 Remove the pins and use high-temperature grease to lube them up. Check to insure you reinstall the pins properly and place the slide pin boots back over the pins to keep out the elements. If the pins have rust on them, or you have a hard time removing them from the brake caliper, you can use a fine sandpaper to remove the debris and rust, and then clean the pins thoroughly with brake cleaner and lube well. All brake rotors have a spec for minimum thickness needed for resurfacing (as opposed to replacing) them. This spec is usually stamped on the rotor, or if not you can find it by searching Google. Measure the rotor thickness with a micrometer or vernier caliper to determine whether or not it can be resurfaced. If the rotors have thick, flaky rust where the pads hit the rotor, I recommend replacing them. If you're just going to resurface the rotors at the machine shop, I recommend checking the back side where the rotor rests on the hub. This is another place rust will build up, and if it's not cleaned off completely before machining, you could create a brake pulsation (which causes the steering wheel to shake when braking) or even a tire wobble. Removing brake rotors on a Honda is not easy. They are held on by two small screws. These screws can be removed with a tool called an impact driver. If it's possible, heat the screws up with a torch, which will help removal process. Once the rotors are off you can either replace or resurface them. Now it's time to reinstall everything. I highly recommend using genuine Honda OEM brake parts to insure the best possible brake job with no squealing. Aftermarket pads always seem to cause a squeal when braking. 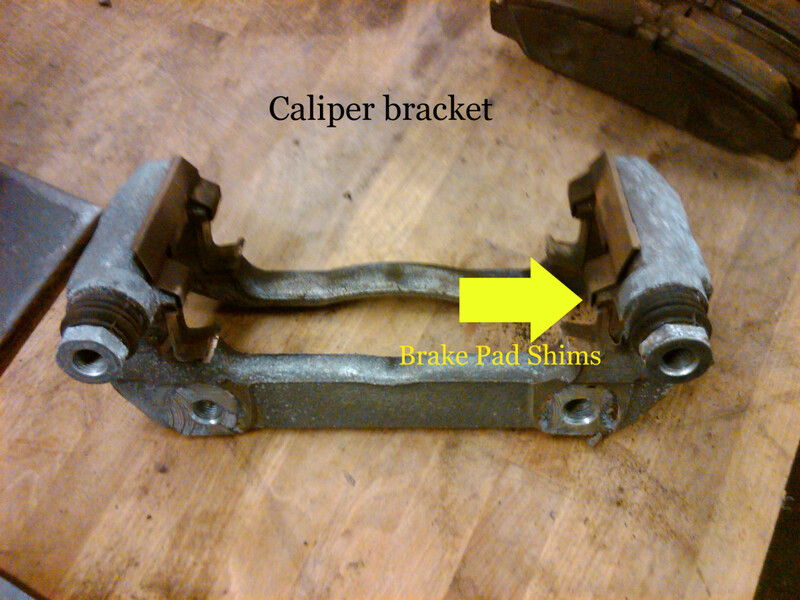 Be sure the caliper shims are installed correctly and the brake pads are installed properly. Two of the brake pads wiill have a metal tab called a wear indicator. When the pads wear down to a certain point, the wear indicator rubs on the rotor, causing a high pitched squeal indicating it's time to change the pads again. The pad with this tab will be the inside brake pad, and the wear indicator will be on the top part of the pad when the pad is installed in the brake caliper. Honda brake pads come with a small packet of anti-squeal lube called Molykote. Use this paste on all contact points of the pad and caliper (where the caliper and pads touch). You can also add a little to the threads of your bolts for easy installation. Torque all bolts to spec, and check to make sure you did not twist the rubber brake line during installation. Never open any brake lines while performing a brake job. This is a closed system. 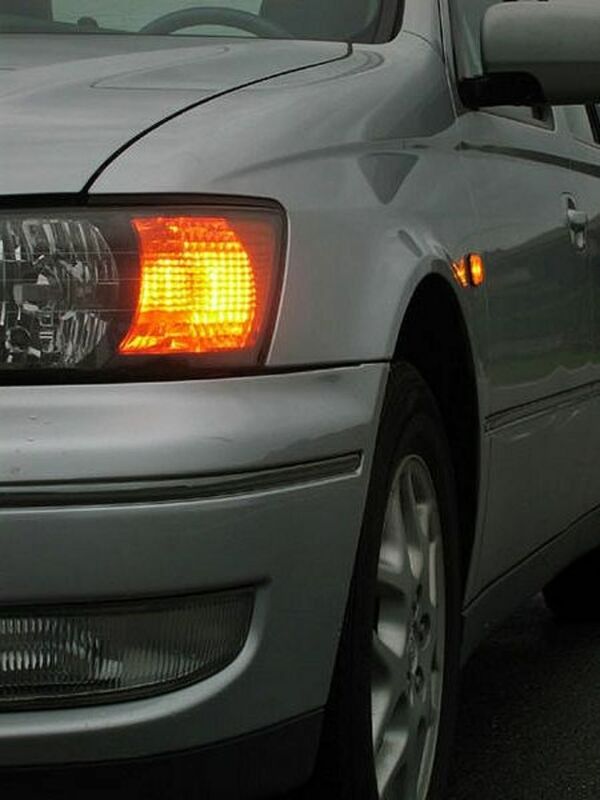 If any air enters the system it could cause a soft brake pedal, or worse, brake failure. Reinstall your tires, lower the vehicle to the ground, and torque the wheels to spec. Reinstall the cover on the master cylinder and pump the brake till the pedal feels hard. Set the emergency brake, put the car in park, and start the engine. Pump the brake pedal while the engine is running; the brake booster will add more pressure to the pads and seat them against the rotors. Always road-test your work to insure a job well done. If you think I may have left something out, drop me a line and I will add it to the article. Want to Bleed the Honda Brake System? 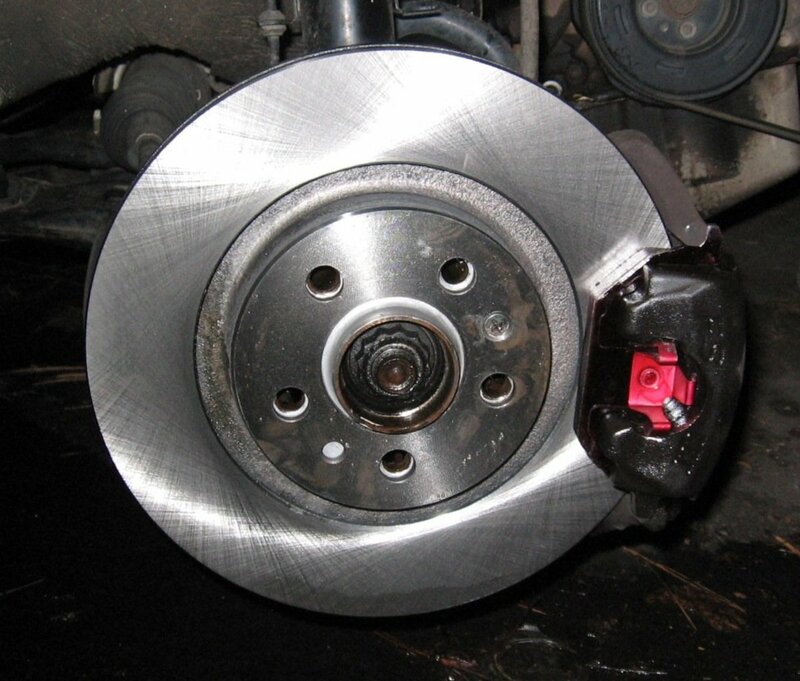 All vehicles are different, but here is the most common way to bleed brakes. Clean the master cylinder reservoir of all contaminants, add new fluid to the reservoir, and have someone (Person 1) sit in the car and pump the brakes. Have Person 2 looking at the caliper/wheel cylinder. Have person #1 pump the brake pedal eight times, then hold pressure on it. Person 2 should open the bleeder until the pedal sinks to the floor, then close the bleeder and signal to person 1 to pump the brakes until the pedal has pressure again. Repeat this eight times or until the fluid coming out of the bleeder is clean. On Honda vehicles, I would start at the caliper furthest from the master cylinder and work my way closer. For example, start at the right rear caliper, then the left rear, then the right front, and then the left front. Don’t forget to check the reservoir level after each caliper. Once the system is bled and the reservoir is topped off, close the master cylinder cover and start the vehicle to verify that the pedal feels good and has pressure. Then put the vehicle in gear and check that the pedal has good pressure and feels normal. Scraping Noise After Replacing the Brakes? This May Be the Problem! We replaced the rotors and brake pads on a 2016 Honda Civic but the electronic brake problem light and message keep popping up. How can this be fixed? When replacing the rear brake pads, it is necessary to enter the maintenance mode with the HDS, the Honda Diagnostic tool. When the maintenance mode is not completed, the brake system indicator (amber) comes on, and the VSA modulator-control unit sets code DTC C1100-53. So at this point, you may need to bring it to a Honda dealer to have the system code cleared. My rear Honda Accord 2012 brakes are squealing for no reason while I am driving. I lightly push the brakes and I hear scrubbing then the squeel will go away. It seems like the pad is rubbing against rust but there is plenty of pad left. Do I need to replace the brake pads? 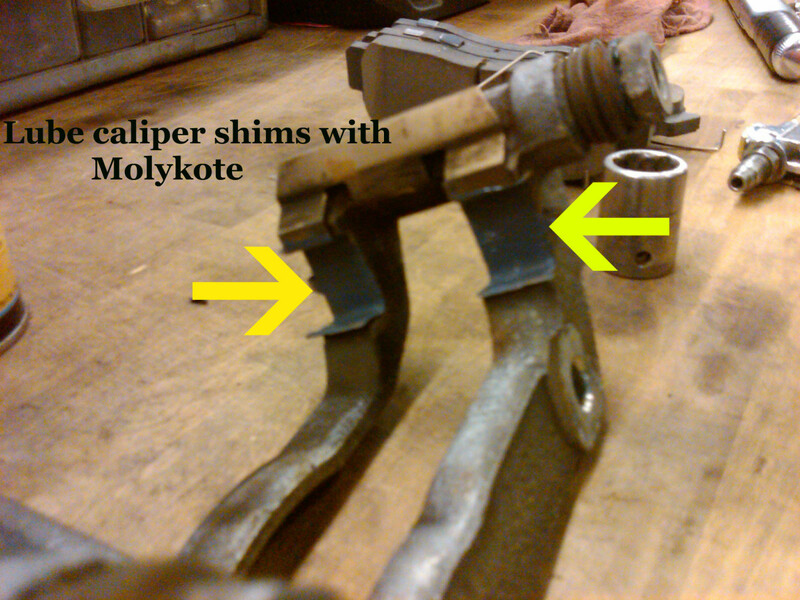 I recommend getting the brake inspected by someone who will remove all brake pads from the calipers and inspect them. 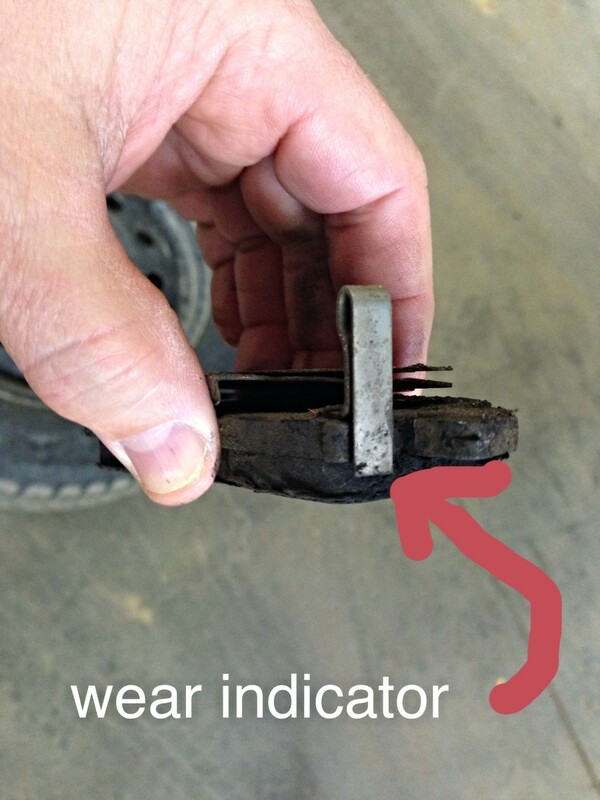 The pads could be corroded in the calipers, the slide pins could be frozen, or you inner pads could be worn out and the brake pad wear indicator is hitting the rotor. I just got a Honda Accord Coupe 2009. Brakes have never been done on this car and it has 107,000 miles on it. Brakes do not squeal and seem fine, except when applying brakes there is a slight shake in the steering wheel. Is this normal for Honda's? 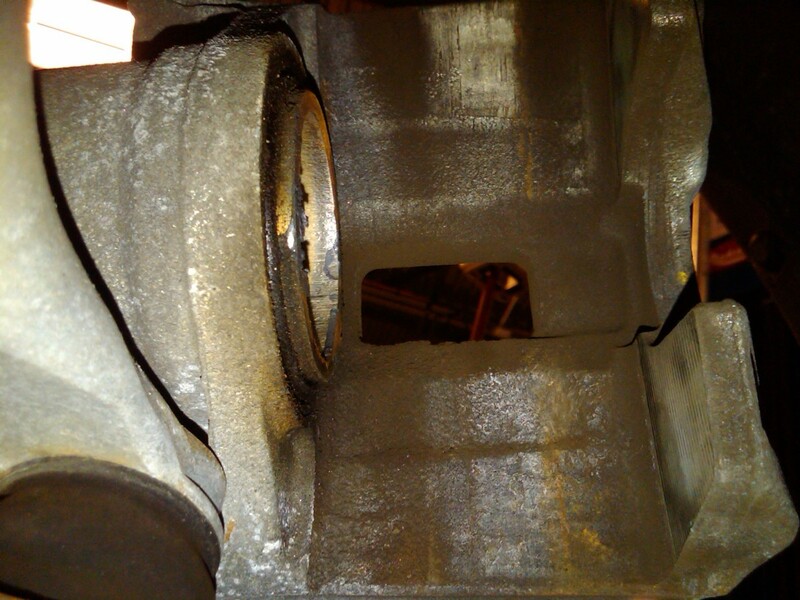 All cars have a brake pulsation overtime because the rotors heat up and cool down thousands of times a year. It is very unusual to have brakes last over a 100k, good driving habits help. I'm sorry Andre, I don't understand. J’ Savoir la procédure pour changer les plaquettes de frein arrière sur un Honda CRV 2017 car il y a un frein d’urgence électronique. Check the master cylinder fluid level, it may be low on brake fluid causing the light to come on. I had my brakes inspected on a used motoehome I bought. I did this just for safety . There was no problem with anything . No brake light nothing. 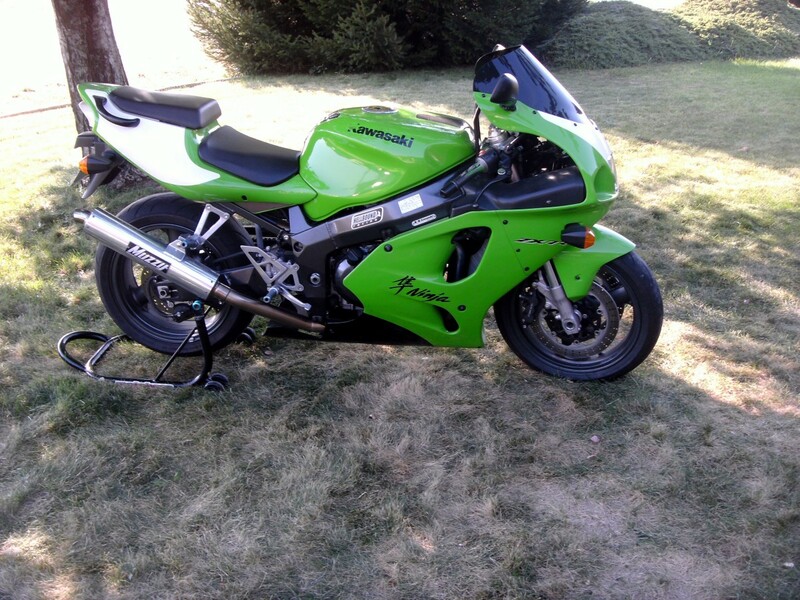 When I got it back I was told the brakes are like brand new .They were Wagner Disc brakes. When I picked up my vehicle the brake light was on. When I put in gear and drove it the light went off. The light was never a problem before the brakes were inspected. The garage said, oh it must the emergency brake switch, which we had the truck running several times and it never had a light on, until it picked up my motorhome. I had a very hard time to put the brake pad on with the abutment shim. I brushed it, grease it, and put new shim on and it wouldn't go in. So I took off the top shim each side. Is it so bad to do so? 7 months ago from Paisley, Scotland. Sorry for the very long delay in getting back to you, regarding my mothers brake problems. As it happens, the brake squeal came back. So I removed the offside caliper and carrier, and did as you described earlier and removed the brake pad shims, removed all the dirt and rust from the carrier, greased and replaced said parts to the car and, her SUV is Squeal free. As it happens the rear brake shoes didn't need replacing after all, even though they'd done 62,000 miles. they were as good as new, as I'd bought new shoes and compared them against the old ones. So once again your expert advice, has saved the day. Thanks again Eddie. 8 months ago from Paisley, Scotland. 9 months ago from Paisley, Scotland. You are most welcome sir, I think it's imperative to give positive feedback where due. Especially when someone like yourself, has enabled someone like myself to progress forward with a situation I thought I would have had to take to a professional and cost even more money to see the job done. So, with many thanks to you, I had managed to get the job done and bring a smile to my mothers face, as she was embarrassed to drive her car down the street as people would turn to see where that very annoying squeal was coming from. And once again Eddie, thank you for being such a great guy. This is great feedback, I wish more of my readers were like you, sometimes I wonder how many people take my advise and use it to repair their cars. I am happy to report, that thanks to you and your expertise in Honda mechanical knowledge. I removed the shims on the cradle, used a heavy duty wire brush to get most of the rust and debris out from under the shims, and then finished off with sandpaper. Cleaned all surfaces, then greased them. Reinstalled the cradle, pads, caliper and wheel. Road tested the car. And that horrible squeak and squeal are no longer present. So again Eddie I thank you sir for help.. Thanks for the info and video Eddie, sadly this is not the case with what's happening here. I did not take out the clips and remove the crud from underneath. And this is causing the pads from sticking, after I've done this, if that hasn't sorted the squeaking which only stops if you press the brake pedal (which to me suggest the pads are sticking), I will get back to you and inform you of my findings. I recently had the front brakes and rotors replaced on a 2001 Honda HRV. I watched the mechanic replace both sides without any problems. But when I drove the car away, there was a very loud squealing sound coming from the brakes. Driving was embarrassing, immediately took it back to the mechanic. He said the N/S/F is where the problem was. Stripped it down again, replaced everything, tested it and no noise. Drove it home 5 miles, great no squealing. Left it over night, my mother drove it next day as it's her car. And she said the squealing noise was horrendous. 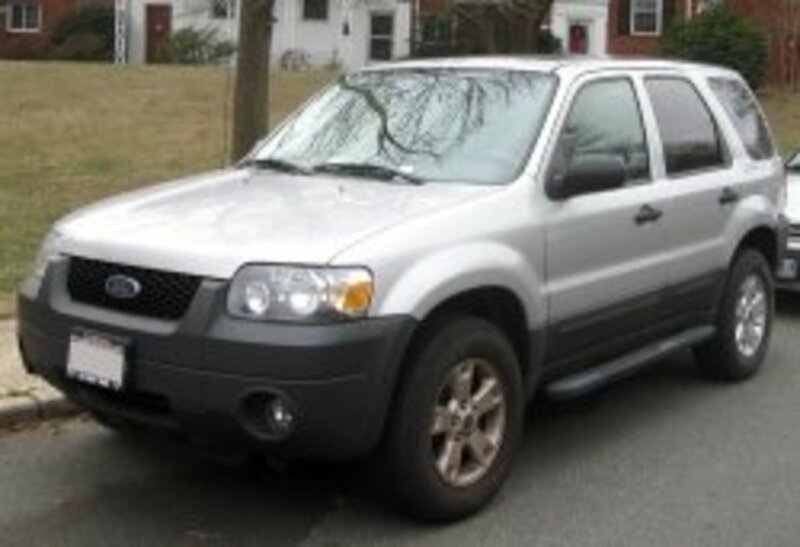 Have you any idea as to what is wrong, and can you offer any advice other then taking it back to the mechanic? It sounds like metal on metal. Kind regards, Dave. The springs help release the pads from the rotor so I recommend using them if you have them but your brakes will work fine without them. You can try opening the bleeder and spinning it in, if that doesn't work, they do make a special tool that helps compress the piston on those types of calipers. 2014 Accord front brakes did not have springs on them when removed. Replacement kit came with springs, does it matter if there installed. Also back caliper will not spin in. It spins but does not move. Any help is apprecited. My mechanic says the piston have to be replaced on my 2001 Honda accord. Is that probably accurate since my Honda is so old ?? Honda may be different from other cars, front brakes it's at the top of the inside pad, rears it's at the bottom of the inside pad. Manufactures usually locate them at the leading edge of the brake pads, I don't think it really matters inside or outside pad, Honda just happens to be inside pad. I've probably have done over 5000 Honda brake jobs in my career. The calipers are just getting old, that is the reason for having such a hard time retracting the pistons. PB Blaster is great on rust but can damage the rubber components. You could try rinsing them down with parts and brake cleaner, then inspect the rubber. Or if you want to spend a few bucks and stop the headaches, just buy a new caliper. No, you don't need to replace both, just the one that is damaged. Let me know how you make out, thanks. Thanks for the advice. Yes, I have a couple more questions. So I told my mechanic friend that the piston boot wrapped around the front of the piston. Well, I finally got it off the face of the piston. I noticed that around the side of the piston it was really rusty. I wonder if that's why it was really hard to turn back in. The mechanic friend said to lift the rubber boot a little and spray WD-40 in there to lube it up a little. What I used was PBlaster instead. Not reading the can, I later realized that this stuff can swell and melt the rubber. So now I have another issue. Will my rubber seal be junk? What should I do? Buy a new caliper? Does a guy replace both sides not just one? Not sure if you have everything back together yet. 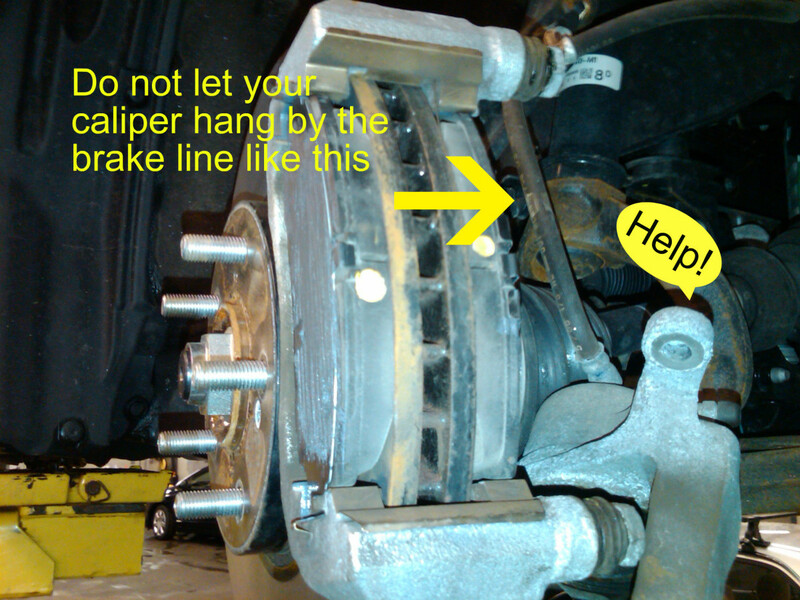 You should never have to hammer the pads into the caliper. Yes, you should use the shims, but also clean the rust out from under them, the rust under the shims is what is causing all the binding of the brake pads. The dust boot just needs to be tucked back in around the caliper piston, maybe use some silicone spray to ease them back in. Also, lube the brake pad/caliper contact points with the moly grease that comes with the pads, do not use it on the contact surface where the rotor meets the pads. Let me know if you have more questions. I have 91 honda prelude . Trying to change the rear brakes. Everything is pretty rusty. I had to pound the old pads out. Now, I'm having a hard time getting the new ones in. I pounded these down to get them in. They're in there tight. Do you need the shims? When I turned the rotor, I could hear it rubbing against the pads I think. Also, I can't seem to get the caliper bolts to start threading in their holes to secure putting the caliper back on. Something else that happened. While I was turning the piston back, the piston rubber boot shroud came over the top of where I had to turn it. I took a screwdriver to push it away. I need some help. You just made my day :) thanks for the feedback! Wow huge time saver! I had the noise and you let me fix it in no time flat. Thanks a bunch man. You Saved me a lot of money regarding Scraping Noise After Replacing the Brakes. Thanks a lot. I was hoping to see the torque values for the 2016 Odyssey, front and rear, caliper slider bolts and carrier/ bracket bolts. After changing the brake pads of Honda N wgn. The brake is now very loose I have to press real hard to apply sudden brake. Is there any way I can tighten the brakes? 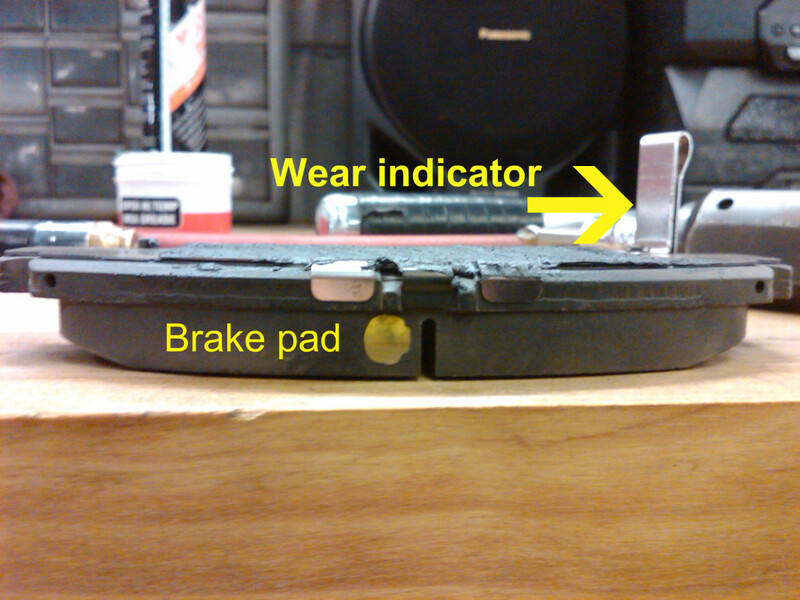 I changed my rear brake pads yesterday on my 2014 Honda Accord using this article. My pistons are ones that needed to be turned to get the new brake pads on. I thought it was something that would be important to include in the article. Thanks! Yes, use a Moly Kote or brake pad grease, do not use regular wheel bearing grease. are you suppose to lightly grease the back of the brake pad where the piston sits on it? i know your suppose to on subaru. On a set of rear pads on a 2014 Honda Accord there is a spring that is placed over the pads in a small hole in the side of the pads. I really appreciate your feedback. I know people appreciate me helping them, but it's nice to hear it come from someone who doesn't need my help :) Just trying to make a difference in this crazy world we live in lol. 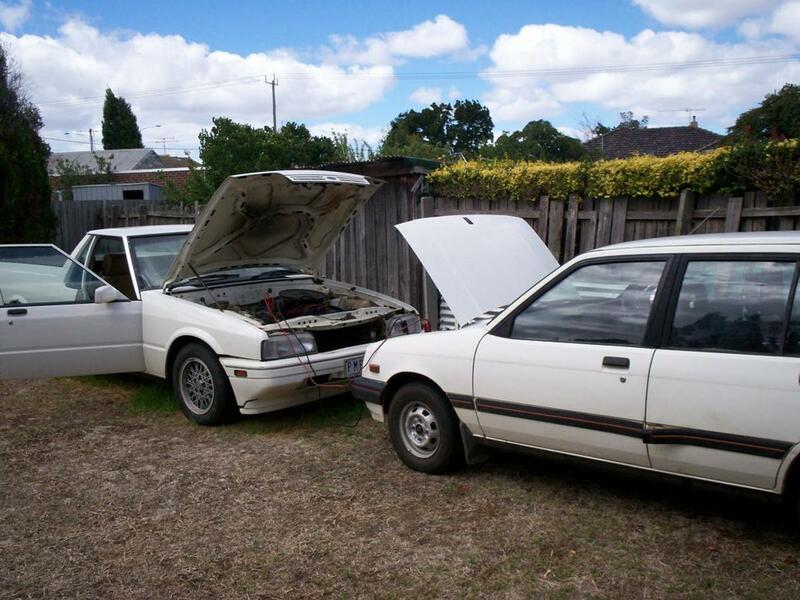 Hi Eddie, I have been doing car repairs and restoration for many years. Brake jobs are so very important and sometimes frustrating. Thank you for having this site for people to come to. You do a great job helping others and you are kind to people. The world needs more people like you. Great job buddy. The first set of pads lasted 40,000km but he second set only lasted 20,000km? Sounds like you may need a second opinion on your brakes, they should definitely last longer then 20,000km. An average set of front brake pads last about 40k-60k miles here is the USA. Let me know what your second opinion says, thanks. Hi Eddie, reading through your advice and comments gives me the confidence to ask a question concerning the fr0ont brakes of my honda civic VTI-LN auto 2013 hatchback. The other day it had a 60,000km service and i was devastated to be told that the front brakes have "only 2~5mm"of pad lining left so "will need to be replaced next week at the latest". This is the second time i have been told that the linings are down (they were replaced at 40,000km service). I understand that due to being built in england the brakes are specced to european requirements but replacement of brake linings twice in 60,000km is ridiculous in my opinion. Especially as most of our driving is up and down a freeway. What is your opinion? Should i pursue Honda Australia ? Is there a harder set of linings i can use? I would highly appreciate your comments. Thanks. For anyone who finds this article and has stuck rotors another way to remove them, aside from banging on them, (which can strain your bearings) is to use a 10mm bolt from somewhere else on the car and screw that into the holes on the rotor. There are two threaded holes on the rotor that allow you to screw in a screw and "jack" the rotor from the hub. My car just started making a horrible noise when reversing and into second gear, this information was so helpful. Thank you for all the detail and easy to understand explanations. Finished the rest of the work over a week ago and everything has sounded and looked great since! I think it may help to include advice on how to properly burnish/road test new brake pads. Thankfully the pads I purchased came with a recommendation on how to do this (20 gentle stops from 30 mph & waiting 30 seconds after each stop) and warned against initial high-speed or hard emergency stops during this test, but I wonder if all pads do as well. Again, great write up! You're very welcome cdiggs , you know the old saying? If at first you don't succeed, get a bigger hammer, lol . Thanks for the feedback, it really means a lot to me. Let me know if you have any other questions, and keep me posted on the end results, thanks. Hitting the backside with a 4 lb metal hammer and a lot of aggression did the trick. One down, 3 wheels to go! I hope they aren't all that painful. Thanks again. Thanks Eddie. No screws holding the rotor to the hub. I'll try smacking the face of the rotor on the backside (same side as caliper mounting bracket) with a big metal hammer. If that doesn't work I'll try heating up the hat with a plumber's torch. I'll update later today with my progress. Thanks again. The rotor is rusted to the hub, are there any screws holding the rotor to the hub? If you're replacing the rotors, use a 1lb steel hammer on the back of the rotor brake pad surface, if you crack the rotor, no big deal. If you have a pipe fitting torch, try heating up the hat of the rotor, then use the hammer. Don't worry about getting it too hot, you won't with a propane torch. Let me know if this helps cdiggs, thanks. Any advice on removing a stuck rotor? I have a 2004 Mazda 3 (2.3L) and the front rotor will not come off. The front only is up on jackstands, parking brake is set, caliper and caliper mounting bracket are off, and I've sprayed a lot of PB Blaster onto the little bit of hub that is exposed and into the holes for the lugs. I've put the lug nuts back on to protect the lugs as I hit the face of the hat with a metal hammer, hit the face of the rotor on the backside with a 1 lb rubber mallet, but the rotor won't budge. What am I doing wrong? That's great Yeny, glad I could help :) The name is Eddie tho lol. Most likely the emergency brake cables haven't been use in a while and are seized on the inside. Pulling the emergency brake handle will force the cables in one direction, but small springs are supposed to return them to the resting position. You could try moving the brake cables around to see if the cables will back off, they are located in the rear and they are bolted to the rear brake backing plates, just grab each one and move them around to see if it frees itself up. Most likely you will need new e-brake cables. Let me know if this helps Yeny. Hi, I happen to come across this website and I am so glad... I have a question about emergency brakes. Today, of all days, my rear tires do not move at all. In fact, when I press the gas, the car won't move forward or backward because the rear tires seem like they're locked. So weird! It's almost as if the emergency brake is still on. The car is a 2001 Honda Civic - 5 speed. This has never,ever happened before and the car has been running great. In fact, the ironic thing is that I was showing the car to a potential buyer since I just purchased a new Honda. It was actually the salesman who did me the "favor" of parking my old Honda in the lot for me so that I can take my new Honda home. I returned with the buyer this evening and he couldn't test drive the car because of the "dragging" issue. Please help me. The dealer is now making it seem like I caused it... when it was just fine when I left it there. Any insight on this would really help. Thank you. It really helps me to find out why the wheel felt hot after I replace the brake pads without realizing I have to remove the rust build up underneath the shim clips. Great tips. Thanks a lot Eddie. Front rotors and pads went on flawlessly, ill put up more pics, im going out to test em now. Thanks again for all the tips Eddie, ill be following your info. Wow, you really went all out on this car didn't you. Nice job bribging the lude back to life :) let me know how you make out on the front brakes. Here goes the front rotors, Im heading out to do em now.. Here is a link that gives u a better picture. Tomer, you are the reason I do what I do, you can find all kinds of bs about brakes on the Internet, but it's very difficult to find a mechanics ( I like to call myself a technician, it sounds more professional,lol) tips and trick they use everyday, believe me, if you ever have to take those rotors off again for any reason, they will slip off like butter because of the anti seize. The Prelude is a unique car in itself, you don't see to many cars with screw in type caliper pistons, and I'm surprised you were able to remove the slide pins, most mechanics don't even touch them, so it's good you got them out and lubed them. So once again, Thank you Sir, your quick responses have saved me from a costly fix at a garage..
Would it be okay to use copper anti seize ? 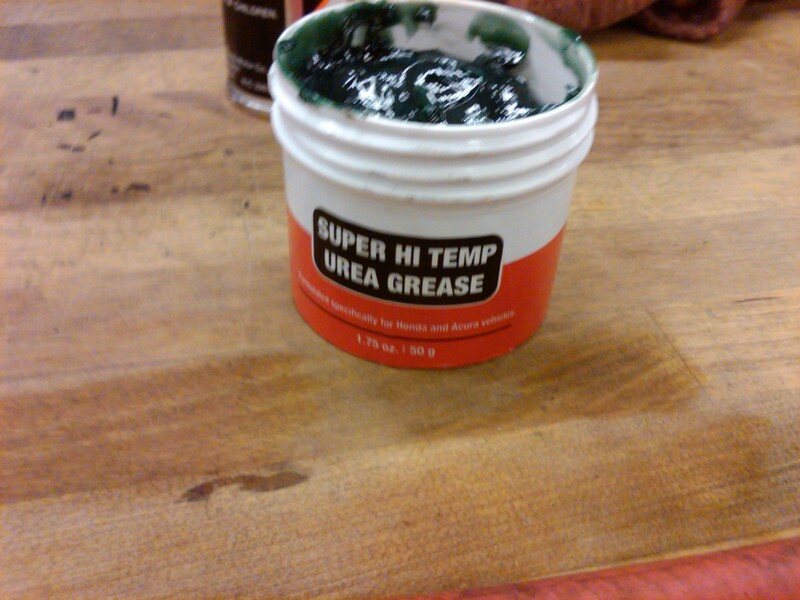 sorry if that's a huge newb mistake... im guessing medium/heavy grease should suffice. Clean and lube the rotor and hub mating surface, it just stops it from rusting and corroding together. Let me know how you make out. ahh, now i get it "back of the rotor" u say ? on the inside with a little sandpaper, so it clears the outside of the hub ? Hi Eddie, great info. I just bought new rear rotors, when i mounted them, they travel in a skewed line, not straight, could it be all the rust around the hub is causing BOTH of the rotors to not seat properly ? Im assuming so... would i be best off getting a dremel tool and a wire wheel to grind the filth off ? Im hoping this is the issue.